Shepherd Center is a Christ centered Preschool and Day Care center. We seek to nurture your child in a loving and Christian environment, and believe that every child deserves to learn and grow at his/her individual rate of understanding and ability. We are an outreach to the community through Shepherd of the Hills Lutheran Church. Your child will learn about God’s love for them from the teachers and staff through bible stories, songs and daily prayers. They will also attend chapel weekly in the church led by one of the Pastors. To provide a loving, nurturing, Christ centered environment in which each child can excel in all areas of early learning. To allow children to explore and discover and to even make mistakes and learn from them as we provide them with love and guidance. To be an extension of each family and church as we assist our children in developing socially and emotionally, to foster age appropriate physical and intellectual development, and to encourage them in spiritual growth. •To employ only qualified staff and teachers who display a positive love towards all children. •To emphasize learning through meaningful hands on experiences. •To provide appropriate tools, materials and experiences, to aid in the continual growth and development of each child. •To accept and encourage parent involvement in positive and productive ways. •To foster a love of God. •To develop an appreciation for one another. •To foster the development of Christian values through prayer, Bible stories and songs. •We encourage creativity and self expression through a variety of hands on art activities. •We introduce various concepts and varieties of music to enhance the growth of creative expression through music. 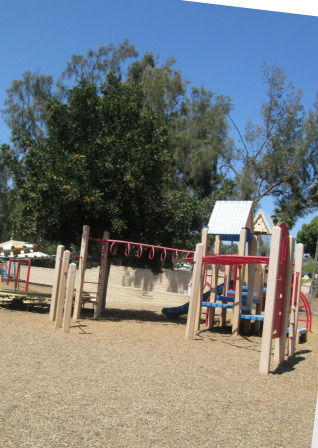 •We encourage the development of fine and gross motor skills using a variety of manipulative and outdoor activities. •We encourage the importance of understanding good nutrition, hygiene and safety as we teach self-help skills. •We establish patterns that encourage self worth, self confidence, self discipline and independence. •We encourage interaction with peers to be in a respectful, cooperative manner. •We encourage an understanding of children’s emotions and feelings as we teach them healthy ways of expressing themselves. •We provide monthly and weekly themes that assist the teachers in developing lesson plans that include, but are not limited to, letters, numbers, colors, shapes and sizes. •We encourage the development of vocabulary, listening, communicating and sharing. •We provide hands on activities that introduce the changes that take place around us, including growth, time and God’s great earth.